Dr. Nouri al-Dulaimi stressed during the meeting the keenness of the ministry to activate the role of the financial and banking sector in Iraq, and to seek to enable private banks to play their developmental role through strengthening partnership with government sector banks. Minister of Planning Nouri Sabah al-Dulaimi received on Wednesday a delegation from the Association of Iraqi Private Banks headed by Wadih Nuri al-Hanal, the president of the Association. 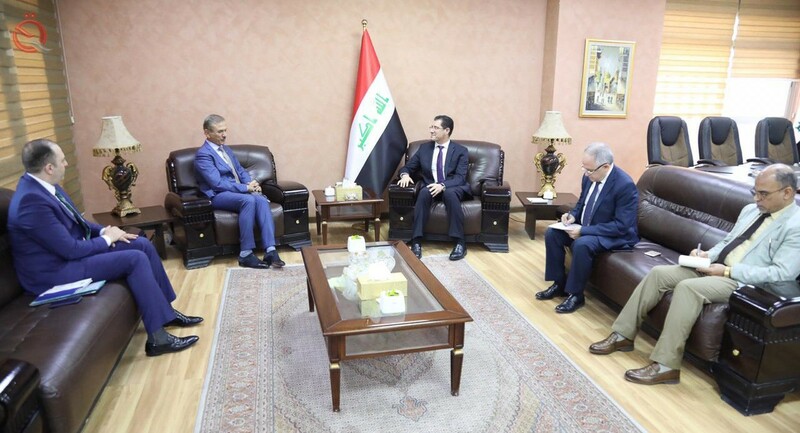 Dulaimi said," The Ministry is keen to activate the role of the financial sector and banking Especially in Iraq, and strive to enable private banks to play their developmental role through strengthening partnership with the banks of the government sector. " For his part, the delegation of the Association of Iraqi private banks," the most important objectives of the Association and its functions and its contribution to the dissemination of awareness and culture banking among bank staff through seminars and meetings and workshops Lara Met with their work, "expressing" their sincere appreciation for the actions of the Minister of Planning during the meeting, "stressing" its importance in strengthening the work of the Association.